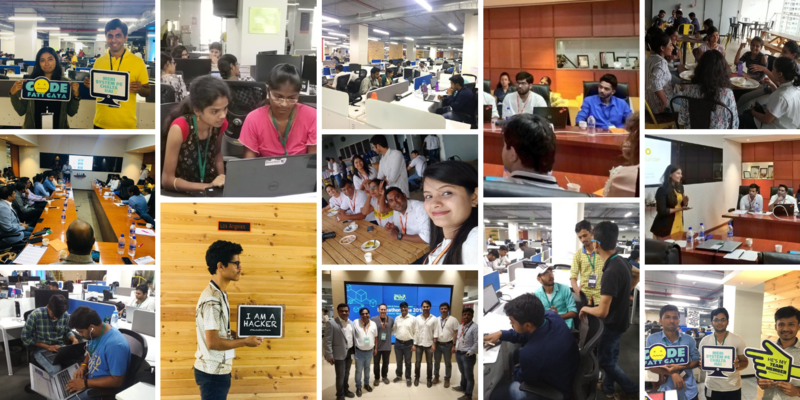 e-Zest and Fresco Capital took up the challenge of bringing together 71 teams of coders from around the country to code on the theme ‘Blockchain for Good’ at their third edition of #HackathonPune. With a technology so relatively new, it was amazing to witness the numbers and the projects. The 24-hour event was co-organized with Fresco Capital and in association with Microsoft. 71 teams toiled 24 hours, coding and innovating. Judges judged contestants based on their ideas, feasibility, and the progress the programmers had made since they started coding. “I decided to take part in this challenge because I enjoy coding and challenging myself. I knew very little about the technology, yet I was amazed to see how I far I got along. It wasn’t about winning for me; it was about seeing if I could make anything out of the opportunity,” said Yash, a participant of the hackathon. While Baradwaj thought it was a great platform to apply his blockchain knowledge and build a project he was longing for. It was a tough challenge but it was rewarding to know that there are so many people who are passionate about technology, even new ones. Shubham Thakur and Rushikesh Akhre took home the first prize for their idea of blockchain-based blood donation platform. The complete flow of blood from donor to receiver would be maintained transparently and made publicly accessible securely through immutable sequence of flow or information exchange. Six other teams won the category prizes. One category winner project was about maintaining an open, distributed and secured ledger of solar energy generated and sent to the electricity grid by a household for an exchange of redeemable credits. Another project tried to solve the problem of social identity management. The team worked on maintaining a user identity-related information at the central blockchain-based location and making it accessible to social networks on a need basis rather than having it stored on respective social networks. It is a good way to protect and control user privacy. Similarly, other category prizes had conceived unique applications of blockchain technology to make it more accessible by and useful for common people. While the coders coded, CIOs, CTOs, and MVPs of some renowned companies were discussing technological advances at their companies and the future of the workforce. The Fireside Chat was led by Stephen Forte, Managing Director of Fresco Capital who presented his predictions about future workplaces. Eleven startups pitched their business idea to a panel of experts and VCs. From live entertainment to networking opportunities and mentoring, and from periodic naps to inspiring innovations, everyone seemed to have a good time.